Daily Messenger – 3/31/2019 – Finger Lakes winery takes top grower award in recognition of a half-century of farming. Richmond.com – 3/27/2019 – One winemaker who makes a major impact on the quality of Virginia wine. The Suffolk Times – 3/27/2019 – Long Island wine loses a leader and champion. Forbes – 3/25/2019 – Long Island wines are also long lived. KEYC12 – 3/23/2019 – Vineyard education sessions seek to spread knowledge about Minnesota viticulture. 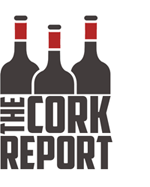 The Frederick News Post – 3/21/2019 – Maryland wine is rising out of obscure history and into east coast consciousness. Detroit Free Press – 3/19/2019 – Winery and vineyard are rolling into Motown.